17 LISTS Hallmark: The Heart of TVRanking the family-friendliest TV movies, miniseries, and original programs that warm the cockles of your heart each and every holiday season. Ever since 2015, Hallmark Channel celebrates the leaves changing, Halloween, and the harvest with a lineup of romantic and heart-warming movies during their Fall Harvest event in September and October. This list of autumnal Hallmark movies has all the fall films that premiered during the Hallmark Fall Harvest movie lineup. Focusing on family, both the kind we're born with and the friends we find, Hallmark's fall movies offer up a loving warmth against the encroaching cold of the season. From food-related romance like Pumpkin Pie Wars and Truly, Madly, Sweetly, to more general harvest themes like the pear orchard in Harvest Love, the autumn season is a key part of the story. And if you're looking for something witchy and magical, there's always something going on in Middleton as part of the Good Witch movie series. All of these movies are as sweet and cozy as a cup of apple cider, but which of these Hallmark Fall Harvest films do you think is the best? 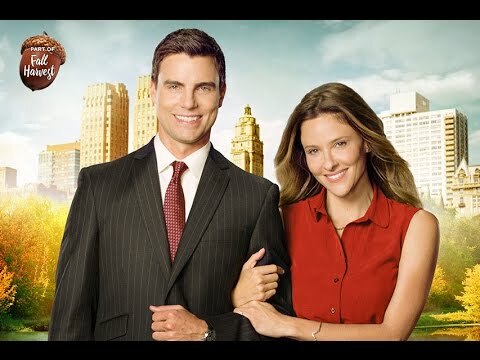 With big plans to leave their small Iowan town, teenage loves Annie (Jill Wagner) and Ben (Colin Egglesfield) elope. Their big city plans are halted when Annie’s parents have the marriage annulled, and Annie stays behind in Iowa to help her family. Fifteen years later, they're both engaged to other people and discover that their annulment was never finalized. Annie and Ben reunite to make their divorce legal, but find themselves reminiscing about what could have been. Is this the best autumnal movie? Sarah Bloom (Jill Wagner), an up and coming wedding planner in New York, is hired to plan the most anticipated wedding of the season. 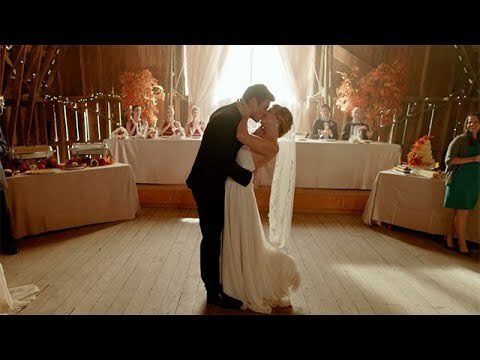 However, she learns the bride is from Sarah’s home town of Williamstown, Massachusetts, and wants her wedding on the family farm, which is now being run by the bride’s older brother – who is also Sarah’s first love. A widowed surgeon (Jen Lilley) visits her family’s pear orchard in hopes of taking a break from her overbooked life and reconnecting with her distant son. She starts to fall for the farm manager, Will (Ryan Paevey), who is growing a new hybrid pear and teaches her the importance of her heritage. Poppy Summerall (Ashley Williams) is hired near Halloween as a temporary nanny by Ryan Lawson (Sam Jaeger), a widowed, work-obsessed executive. Through a series of adventures, the eternally optimistic Poppy sets out to teach Ryan and his two young children what’s important in life: unconditional love, family and the joy of everyday occurrences.